Simply retrofit the patent-pending Rocking Bed to your existing bed frame, and you’ll be sleeping like a baby again in no time. 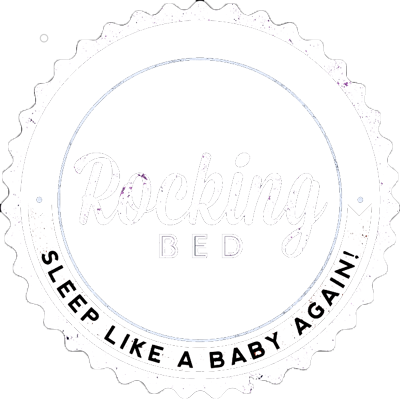 You can order Rocking Bed now! Call 1-201-762-5464 to find out more. The act of rocking a baby is more than just a feel-good bonding moment. The gentle swaying motion soothes a child and brings on sleep. Many parents remark that their children fall asleep during car rides. Find out more by checking out some recent studies on rocking. Have you ever wondered why so many children fall asleep while riding in a vehicle? Perhaps you have experienced the relaxation that often comes from traveling by car also. For generations, new mothers from all walks of life have understood how the gentle motion of rocking can promote relaxation and provide better quality sleep. Rocking chairs, bassinets, swings, and other popular baby items all attest to the power of the gentle sway associated with rocking. This gentle rocking motion works wonders for infants and babies, but what about adults? As it turns out, this same rocking motion is also beneficial for adults of all ages. Our specially designed rocking beds were designed to simulate the same motion obtained in infant cribs to enhance sleep and promote a deeper level of relaxation. What is a Rocking Bed? Our patent-pending rocking beds for adults were designed to be fitted with your existing bed to provide the ability to create a gentle rocking motion while you sleep. We believe in keeping things simple, and our rocking bed is no exception to this rule. It doesn't have an excessive amount of unnecessary bells and whistles but rather focuses on the necessary components needed to provide a gentle and relaxing motion that has been scientifically proven to enhance sleep quality. How does a Rocking Bed Work? Our rocking bed is designed with supreme simplicity in mind. The rocking bed consists of a simple yet effective CNC cut wood frame fitted with an ultra-quiet motor. When it is powered on, the motor will cause the steel frame to gently sway back and forth, creating a seamless motion similar to that provided by baby cribs and bassinets. You do not need to replace your entire existing mattress and bed frame in order to experience the benefits a rocking bed has to offer. 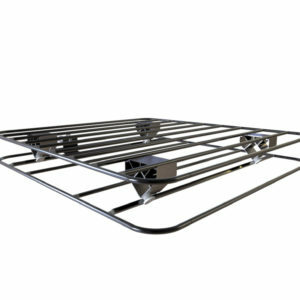 The wood frame simply replaces your box spring, and you keep your existing mattress and bed frame. The wood frame used in our unique rocking bed system is designed to work with almost all types of bed frames, with the exception of sleigh beds. What are the Benefits of a Rocking Bed for Adults? Rocking is a natural motion that exists in various aspects of nature. From the time we are babies in the womb, we are exposed to the gentle motions that are simulated by our unique rocking bed. Scientific studies indicate that this slow, purposeful motion has many health benefits that manifest within different systems of the body. According to information gathered from numerous scientific studies, the gentle sway that a rocking motion provides can lower stress, improve sleep quality, enhance dreams, treat motion sickness, improve circulation, and even help move accumulated toxins out of the body via the lymphatic system. Sleeping on a rocking bed can not only improve the quality of the sleep you get on a regular basis, but it can also enhance your overall health and well-being. Sleep is one of the most underrated but vital bodily functions we rely on to keep our bodies functioning at their optimal level. Without proper sleep, our immune system can suffer, leaving us prone to getting run down with various colds and viruses. Sleep clears our brain of excess clutter, primes our brain for optimal learning and memory retention, supports an active lifestyle, keeps us from getting ill, and so much more. Sleep is not just about quantity. It's also about quality, and this may be the most important factor when it comes to sleep. If you don't feel rested when you awaken each morning, it's likely that your quality of sleep is poor. However, with the addition of a rocking bed to use in conjunction with your existing mattress and bed frame, you can experience enhanced sleep that will positively impact every aspect of your life. Inventor Mark Russell was passionate about replicating the soothing feeling of rocking in a bed for adults. Babies and kids love the feeling of rocking to sleep, so why should grown-ups have to give up the soothing feeling? The Rocking Bed is the result of many years of painstaking research and experimentation. Mark worked tirelessly developing different prototypes of the bed, keeping the ultimate goal of restful sleep in mind and never settling for less than the best. When he finally hit upon the latest incarnation of the Rocking Bed, Mark knew he had a winning design. The mechanism behind the Rocking Bed is advanced yet simple. A tCNC cut wood frame moves from side to side, driven by the smallest, quietest motors. 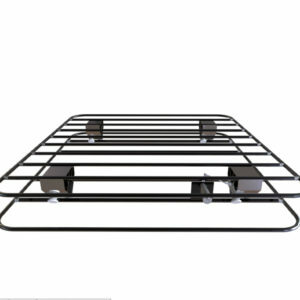 The mechanism replaces your box spring; you keep your own bed frame and mattress. Assemble the Rocking Bed in an hour or less, and you’ll be on your way to the best sleep of your life.